I know you’re probably getting sick of hearing me complain, but it’s like 900 degrees still. 900 degrees. Like for seriousness sake, can we please turn down the thermostat in Texas, just a hair?! I really shouldn’t be too pouty about it, because I’m sure the winter will be hard and cold here. And long. Oh well. Until then, I think I’m just going to keep making my own version of air conditioning and whip-up more ice creams. 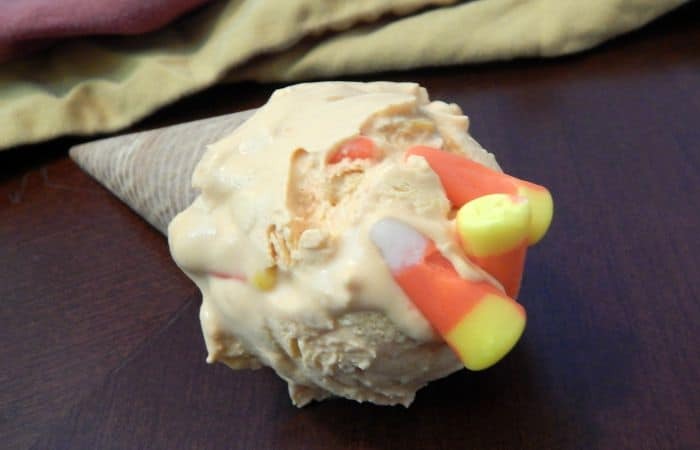 In anticipation of the wonderful, copius, dramatically-spooktacular Halloween candy fest that’s going to (shortly) be here, I decided to make Candy Corn Ice Cream. Of course, it’s vegan. But that’s beside the point. It’s Candy. Freakin’. Corn. Ice cream. I mean, really. 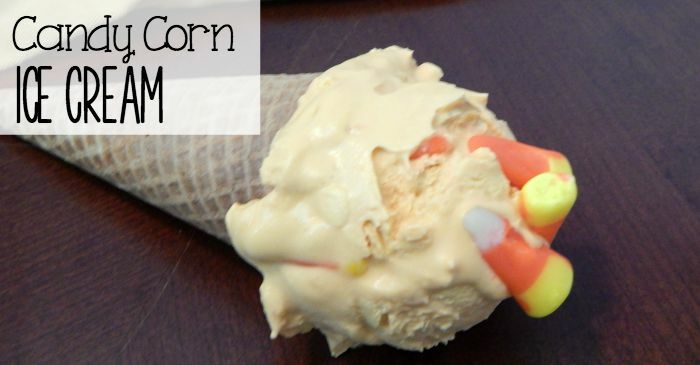 Add the other ingredients except candy corn. Put it in front of your little monsters to EAT! 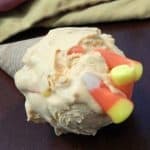 In anticipation of the wonderful, copius, dramatically-spooktacular Halloween candy fest that’s going to (shortly) be here, I decided to make Candy Corn Ice Cream. Of course, it’s vegan. But that’s beside the point. It’s Candy. Freakin’. Corn. Ice cream. I mean, really.